News - Dayton, Franklin, Springboro | IT Squared Resource, Inc. 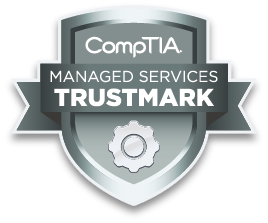 IT Squared Resource, Inc. has received the CompTIA Managed Services TrustmarkTM, a respected industry credential that signifies its adherence to the best practices for technology service delivery and customer interaction. To earn the CompTIA Managed Services Trustmark, IT2 was evaluated on several aspects of their business operations, including organizational structure, technology tools and systems they utilize, standard operating procedures and IT service specific activities. The company also committed to abiding by a code of conduct and provided customer references. Kris Fenton, President and owner of IT2, co-authored the new book “Under Attack: How To Protect Your Business and Your Bank Account From Fast-Growing, Ultra-Motivated and Highly Dangerous Cybercrime Rings.” Released for sale on Amazon.com on Thursday January 14th, it quickly ascended to #1 on Amazon Best Seller rankings in the network security, network and cloud computing categories as well as #2 in cyber security and encryption. 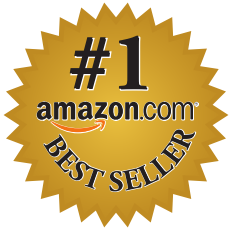 The book also came in at #5 for the computers & technology category. 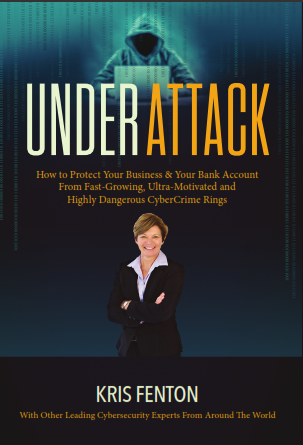 Kris teamed up with 26 other cyber security experts from around the world to write ‘Under Attack’, published by Celebrity Press – a leading business, health and wellness book publisher. As the title indicates, the book is jam packed with valuable information, tips and strategies for utilizing smart and strategic IT systems to protect businesses from cyber criminals, viruses, hackers, downtime, disgruntled employees and a number of online threats that can shut a business down. IT Squared Resource, Inc. is proud to support Atrium Family YMCA’s 2015 Franklin Fall Fest Pumpkin Dash. The 1k Family Fun Run and 5k Run/Walk, held on October 24th is a great way to kick off the Franklin Fall Festival and all proceeds go directly to kids and families in the area. The YMCA Mission is to put Christian principles into practice through programs that build healthy spirit, mind, and body for all. IT Squared Resource, Inc. is proud to sponsor Franklin High School in Cox Media Group Ohio, Dayton Daily News Newspapers in Education program for the 2015-2016 school year. Newspapers In Education’s (NIE) goal is to see that every child and teacher in participating schools receive the e-edition and print newspaper. The NIE program serves more than 200 different schools in the greater Dayton and Springfield areas, including Greene, Warren, Preble, Darke, Butler, Miami, Shelby counties and more. The program is designed to help keep students informed of current events and provides e-access for research. 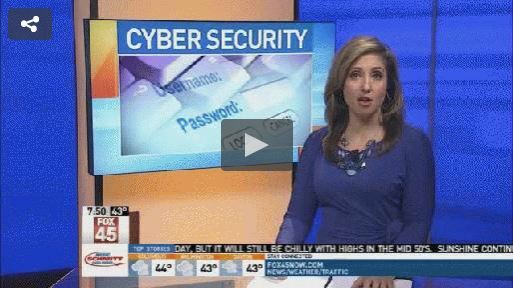 IT Squared Resource, Inc. teams up with Better Business Bureau on Cyber Security – FOX 45 News. IT Squared Resource, Inc. is proud to support Big Brothers Big Sisters of Warren & Clinton Counties. On March 20th, Team IT² participated in the 2014 Bowl For Kids Sake event at Strike Zone Lanes in Franklin. Through contributions and fundraising efforts, Team IT² raised $910 for the organization. Big Brothers Big Sisters is a non-profit organization that provides children facing adversity strong and enduring professionally supported one-to-one relationships that change their lives for the better, forever. Since 1978 Big Brothers Big Sisters of Warren and Clinton Counties vision is to provide mentoring relationships for all children who need and want them and that all children succeed in life. IT Squared Resource, Inc. 2012 Holiday Food Drive A Success! The 3rdannual IT Squared Resource, Inc. Holiday Food Drive was a success! This year we again proudly teamed up with the Warren County United Way and Franklin Area Community Services, to participate in the 2012 Warren County Commissioners Food Drive Challenge to stock our local food pantries. The annual drive falls in line with the IT²Mission – TO ADD VALUE TO ALL THOSE WE SERVE, including our community as contributors and involved supporters. IT²’s goal this year was to collect a minimum of 500 lbs of non-perishable food in the month of December. With generous donations from our Team and valued clients, we met our goal and then some. The IT²Team is proud to announce an official weight collected of 509.5 lbs of food. IT Squared Resource, Inc. is proud to announce their sponsorship of Cox Media Group Ohio’s Newspapers in Education program for the 2012-2013 school year. The Newspapers in Education (NIE) program currently serves 202 different schools in the greater Dayton and Springfield areas, including Greene, Warren, Preble, Darke, Butler, Miami, Shelby counties and more. The NIE program supplies print copies of the Dayton Daily News, Middletown Journal, Hamilton Journal News, and Springfield News-Sun to schools on Tuesdays and Wednesdays, as well as access to the E-edition of the papers via the NIE website, www.nieonline.com/ohio on the other weekdays. The program is designed to help keep students informed of current events and provides archive E-access for research. In the spirit of community and giving this holiday season, IT Squared Resource, Inc. (IT2) conducted a Holiday Food Drive in partnership with the Warren County United Way’s 2010 Holiday Food Drive Challenge to benefit the counties food pantries. The IT2 Team is proud to announce a total weight collected of 607 pounds of non-perishable foods, which were delivered to the Franklin Food Pantry to help feed families in need within the local community. The donation is part of the countywide total standing at 36,957 pounds of food collected as of January 6th. IT Squared Resource, Inc. is proud to support the Dayton Chapter of the Autism Society of America on their second annual 5K Walk for Autism and Vendor Expo being held Saturday April 4, 2009. The walk is geared to enlighten the public about autism, and to make more families aware that support, education, and information are close at hand in the Dayton community. The walk will be held at the Payne Recreation Center, 3800 Main Street, Moraine, OH 45439. Besides the 5K walk, a FREE vendor fair with approximately 40 autism-related vendors will be on hand, entertainment by vocalist Maddie Georgi, concessions, and activities for the kids throughout the day. The walk is the Dayton Chapter’s one big fundraiser for the year. 100% of the funds raised by the walk will stay in Dayton to help local families.